Ink & Toner Solutions is proud to offer our simple alternative to the often complicated and expensive full blown MPS (Managed Print Solution) programs out there. What we offer is a simple but comprehensive program that addresses the main concerns any printer owner has, mainly that the printers are operational at all times and you get the best price you can on ink & toner refills. There are no penalties for exceeding or not meeting page counts, no resource and time draining software to install, no printer repair parts that are rolled into the cost per page and no charges if you decide to opt out of the program. Expert technical support by telephone and on site. Single Call Dispatch and Tracking – Our technicians are notified within hours of the repair call and contact is usually made the same day to determine what service needs to be done. 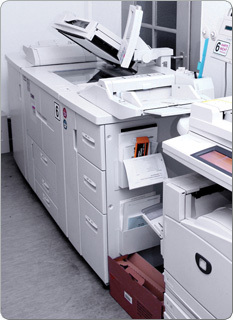 Service coverage for HP, Canon and Xerox machines. There is no service charge for the printer repair call, you only pay for the parts needed. You save on average 30% when using our Eco-friendly toners. Easy Ordering – Your order form is set up on our web portal so with just a few clicks your order is on the way. No upfront cost, no hidden cost, no overage cost or under usage charges and never any penalties. We also offer a genuine recycling program so you can recycle your empty drums and cartridges responsibly. When you sign up to our Laser Care Advantage Plan we will collect a list of all of your printers, provide a quote for supplies, and if needed, we can inspect each printer you may be having issues with. We will also lock in your quoted prices for the length of the Agreement. This program, and the benefits included,cost you nothing to join, the only requirement is that all toners for the machines on our program be purchased from Ink & Toner Solutions. If you feel this plan is right for you, contact us at sales@inksolutionsma.com or call 413-517-0099. But Wait, If You Don’t Need or Want A Service Contract You Can Still Get Our Low Cost Eco-friendly Ink & Toners By Clicking On the Tab Below. Find Your Cartridge and See How Much We Can Save You!